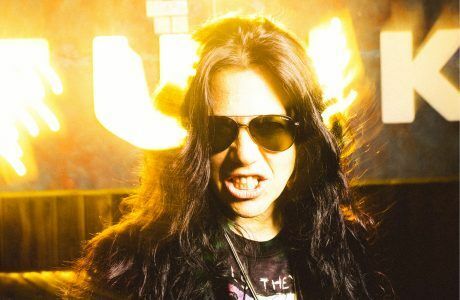 Sari Schorr, already an accomplished songwriter with tracks on major labels has written or co-written most of the songs on her new album. She joins this year’s festival in the midst of what is set to be a groundbreaking and memorable tour. We can’t wait to see her. Formerly known as Funkydory, UK rock and blues four-piece Northsyde have been touring and recording since 2005. Left-handed Mauricio’s unusual style (he strings the bass upside down)combined with Doyle’s forceful grooves give the band a sound unlike anyone else on the rock and blues circuit today. With each member citing a unique and varied range of influences, Northsyde are both eclectic and hard to define. Native New Yorker Sari Schorr is taking the blues world by storm and with a voice that jolted legendary blues producer Mike Vernon (think Mac, Claptonand Bowie) out of retirement, it’s not hard to see why.Several years of touring the world with Joe Louis Walker and Popa Chubby granted her notoriety and induction to the New York Blues Hall of Fame.Now she’s heading up her own band, The Engine Room, and touring her Vernon-produced debut album, A Force of Nature, released on Manhaton Records in September 2016 and featuring legendary blues guitarist Innes Sibun. Northsyde, fronted by vocalist and songwriter Lorna Fothergill (whose dynamic style has been described as, Aretha with a hint of Janis) and backed by husband Jules on guitar and longtime friends and collaborators Ian Mauricio on bass and Hayden Doyle on drums, Northsyde are a heady mix of soulful blues, rump-shaking funk and Zeppelinesque riffing.